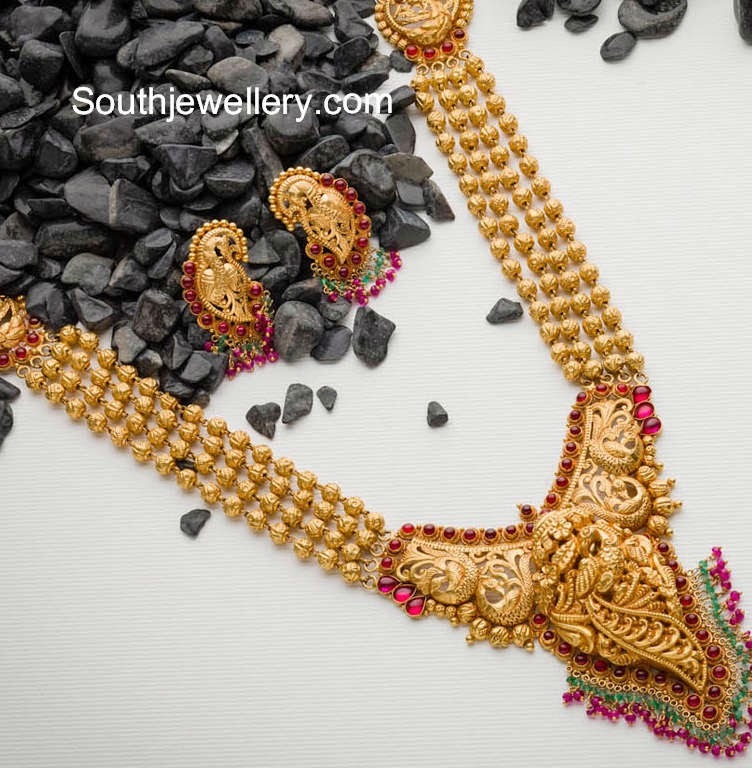 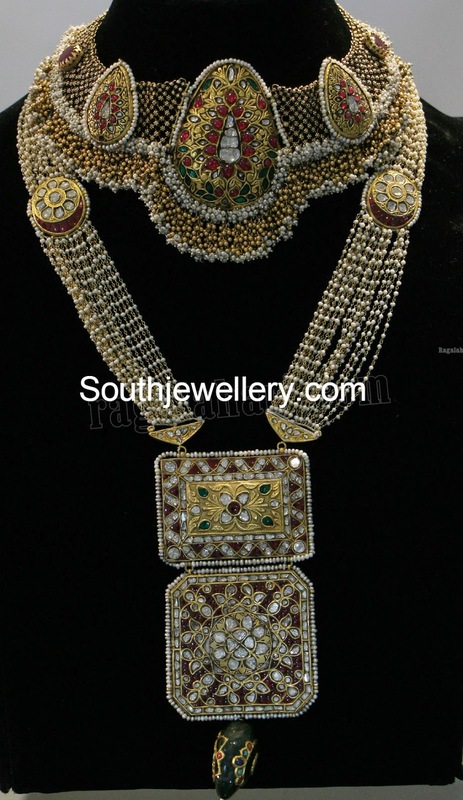 Rich floral necklace studded with three rows of emeralds and one row of rubies. 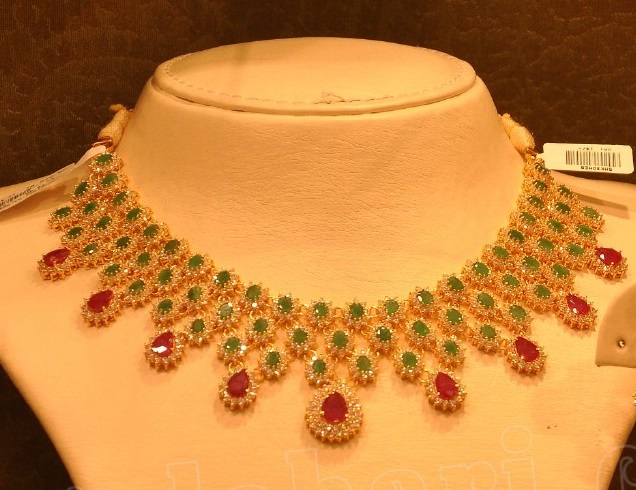 Each emerald and ruby is surrounded by diamonds to add glitter to the neckpiece. 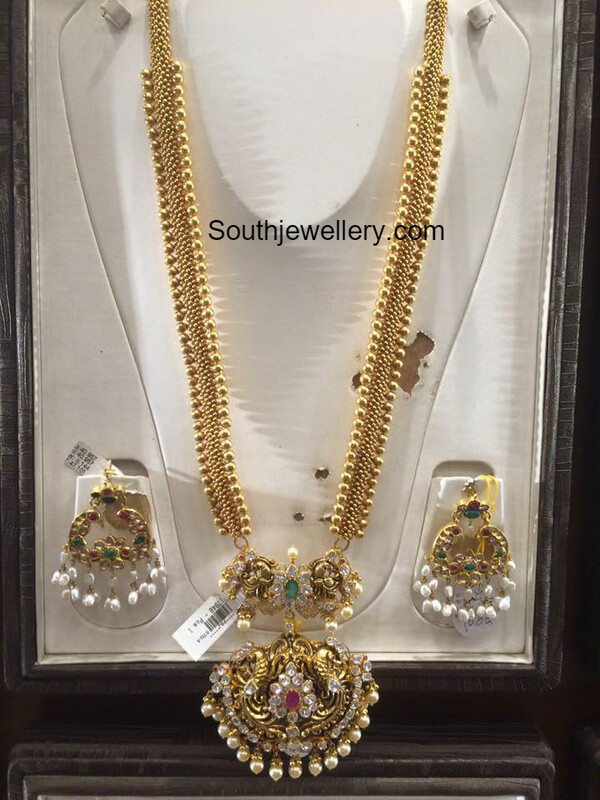 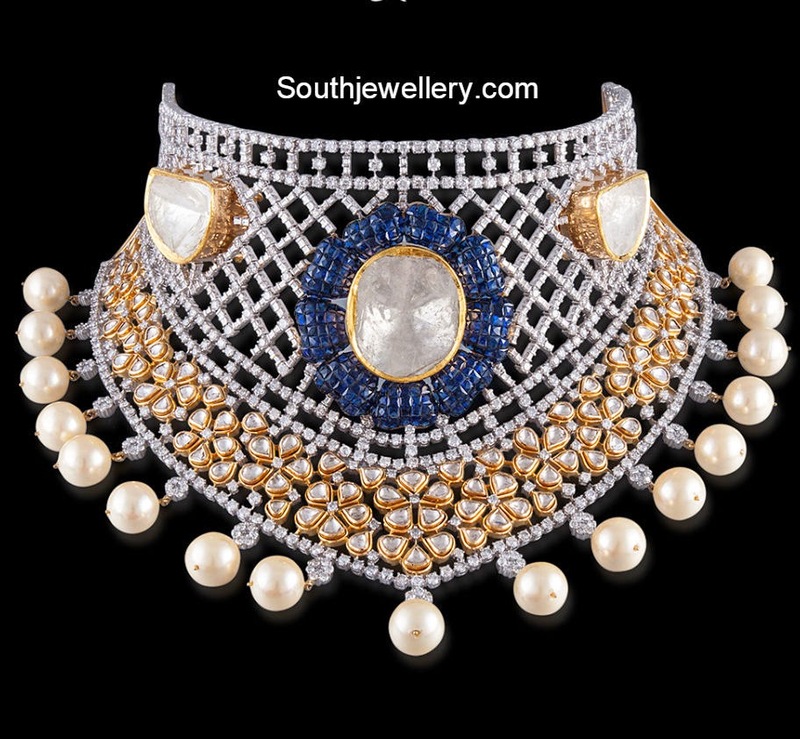 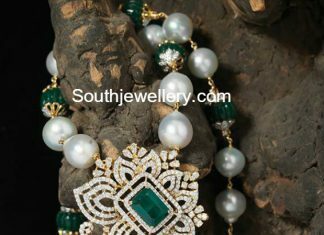 South sea pearls and emerald beads mala with diamond emerald pendant by Navrathan Jewellers.